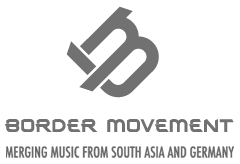 Rap Engineers is signature hip-hop crew of South Asia based in Islamabad, Pakistan since 2005, comprising of four members- Xpolymer Dar, Maddy Khan, Yaruq Malik and BCL Blade. The name of the crew clearly suggests that the band is experimental and is more focused in blending different genres with pure hip-hop. Rap Engineers are one of the pioneers of hip hop with in sub continent and also pioneer of Sufi Rap genre. The band became significantly popular with its single ‘Conflict Management’ that made it to the top videos of 2011 in all music channels in Pakistan. Rap Engineers are mostly famous for their live shows across Pakistan and representing the street culture and true picture of the current scenario.